Sounds very medical and scary doesn't it? Periodontal disease! But what exactly is it? Put simply, it is a form of gum disease and is one of the most common diseases in cats these days. Your cat can be affected by this if food particles and bacteria accumulate in the gumline to form plaque and if not cleaned can transform into claculus. This causes irritation and gingivitis which can make the gums infected and puss-filled. This will cause stinky breath and much pain and irritation for your kitty. Gum disease starts with an inflammed tooth which develops into gingivitis. You may notice that the gum will also recede slowly to expose more tooth and root. You will need to see your vet if the whole rooth and tooth is exposed but try and treat the problem beforehand. Your vet will need to x-ray your cat as the disease tends to hide under the gums. Up to 60 percent of the symptoms are hidden beneath the gum line. X-rays will reveal loss of density and sharpness of the root socket. In more advanced stages, it will reveal loss of bone support around the root of the affected tooth. 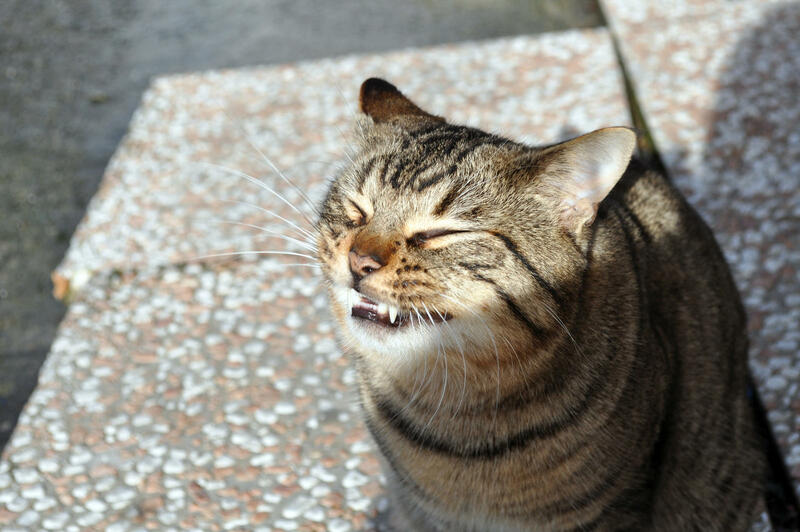 The treatment for gum disease depends on the cat and how advanced the periodontal disease is. Early stages of the disease will mean controlling plaque and preventing bacteria from making a home in your cats mouth. A more vigilent dental care routine may be given to you by your vet. This can be achieved by brushing teeth daily with pet toothpaste, a professional cleaning and possibly even prescribed flouride. In later stages treatment can involve a professional cleaning the space between the gums and the teeth plus the application of antibiotics. However if the gum disease is in the advanced stages you may have to concider bone replacement, splinting and even tissue regeneration treatments. However it is important to remember that prevention is always better than treatment or a cure so ensure you are on top of your feline friend's dental health. A daily brush, a healthy diet and regular vet check-ups will go a long way to prevent getting periodontal disease.